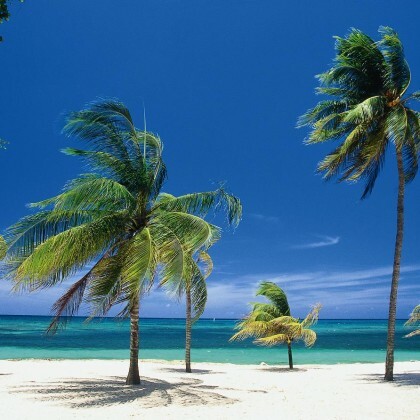 Cayo Santa Maria is located around 120 kilometers from Santa Clara, the quiet city capital of the Villa Clara province that was founded in 1689 is located 267 kilometers east from the City of Havana, 74 kilometers north from Cienfuegos. Santa Clara main attractions include the memorial Museum, built as a tribute to Ché Guevara and his comrades, killed in combat in Bolivia. To the north, a causeway 48 kilometers long, links the mainland to the keys of Cayo Santa María, Cayo Las Brujas and Cayo Ensenachos. Cayo Santa María, baptized as the white rose of Jardines del Rey, is 13 kilometers long. It is mostly covered by excellent beaches of fine sand, clean, quiet and transparent waters where the sea bottom with abundant formations of Coral and a great diversity of sea species invite visitors to practice Scuba Diving and under water photo shooting. 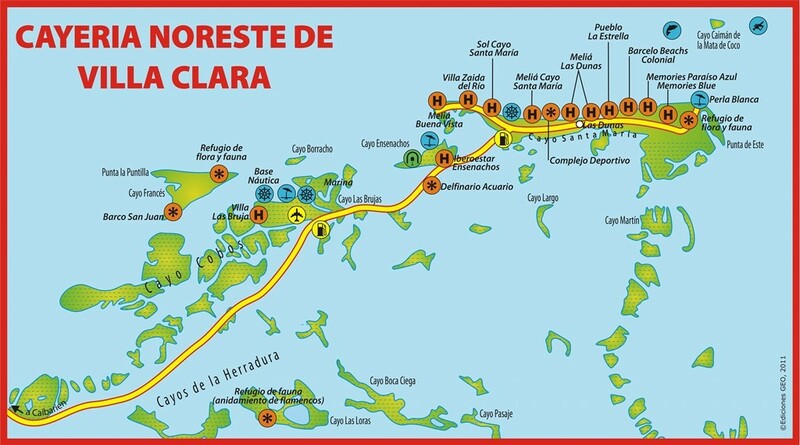 The exotic and unspoiled Cayo Ensenachos was an old aboriginal establishment and refuge of 22 endemic species of the Cuban flora and 39 of Cuba’s fauna. 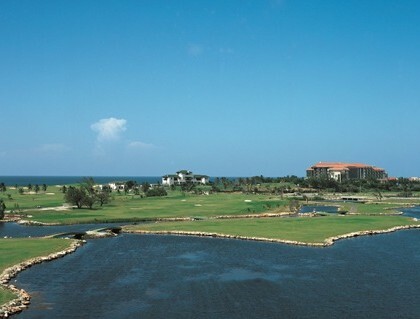 It enjoys a secluded setting amongst 100 hectares of lush Caribbean gardens. The area is home to flamingos, herons, cormorants and many other birds. Crystal clear waters, perfect for bathing and water sports, soft white sandy shores and offshore reefs teaming with marine life make impressive dive sites among these cayos. 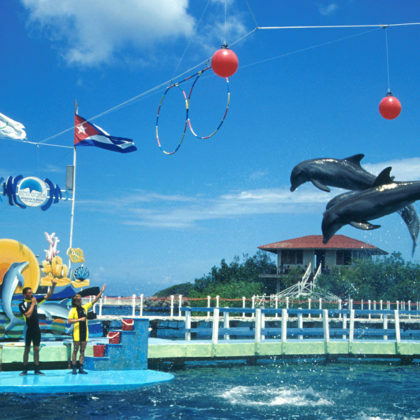 This horseshoe shaped key is set in an area of natural beauty, boasts two of the most beautiful beaches ‘El Megano’ and ‘Ensenachos’ in the whole of Cuba, secluded, and stretching more than 2.6 kilometers in length. 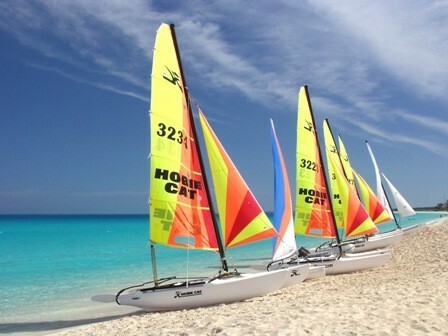 These flawless soft powder sand beaches and as white as the flour are a real Paradise. The water, which is clear, warm and calm for swimming. You can also find on the northern part of the province and close to Cayo Santa Maria and Cayo Ensenachos, San Juan de los Remedios, the eighth villa founded in the island by the Spanish conquerors (1515). The historic center of Remedios, declared National Monument in 1980, is the only one in the country with two churches in its municipal square: Nuestra Señora del Buen Viaje and Parroquia Mayor. In the second one you will see a huge altar, totally gold plated, and a sculpture, presumed to be unique in the world which represents a pregnant Virgin Mary. This town is well-known due to the traditional parranda, whose origin dates back to the first quarter of the XIX century, dividing the population, since 1871, into two bands: San Salvador and El Carmen. On the south side of the province you can also find Hanabanilla Lake, one of the biggest artificial water reservoirs in the country, built right next to the mountain region of Escambray. Visit the Armored Train located in Santa Clara city, this monument built right in the place where the military action of derailing the armored train of Batista’s dictatorship took place in December 1958. 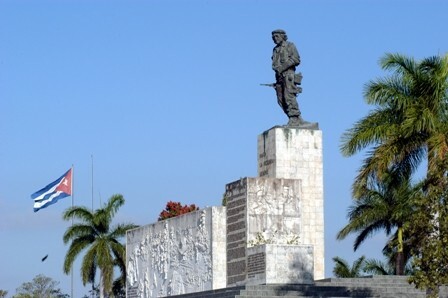 Visit the Ernesto Che Guevara Museum, located in Plaza de la Revolucion in Santa Clara city, it includes the Museum and Memorial where the remains of the Ernesto Che Guevara and his comrades who fell in combat are located. It covers an area of 150 meters with walls lined with small pieces of marble and a precious wooden roof in an environment that evokes the rough Bolivian jungle with the eternal flame that was lit on October 18, 1997. 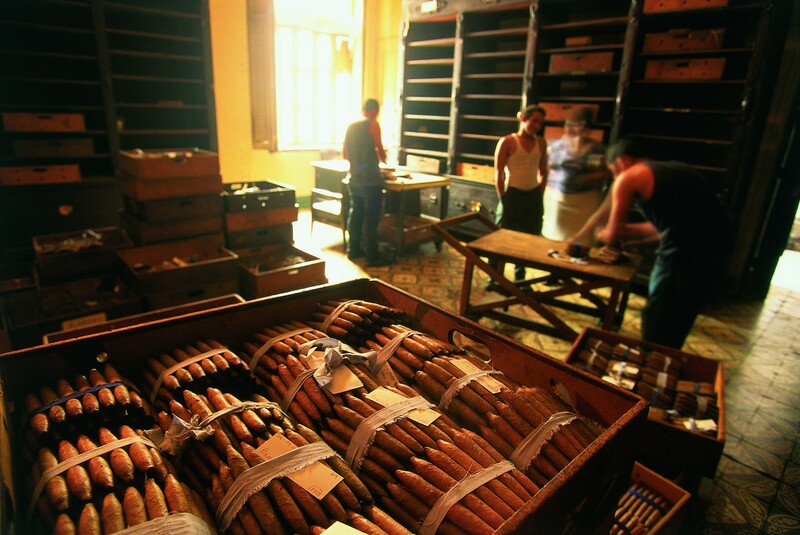 A small colonial town, the 8th city founded by the first colonizers in Cuba. 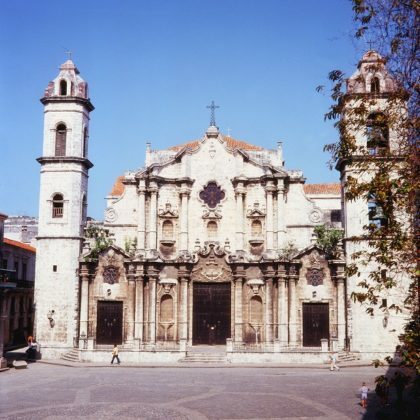 Walk around its central square and visit the parochial church, the oldest church in Cuba. Located in Cayo Francés, this ship, known as “El Pontón”, was built in 1920 in San Francisco, California, to be used to transport molasses. It ran aground a mile from Cayo Francés in 1933. The general staff of the U.S. Armed Forces was set up on this boat during World War II to protect the northern coast of Caibarién from German attacks. It is a reminder of U.S. writer Ernest Hemingway’s presence in these waters. Cuban painter Leopoldo Romañach found inspiration to paint some marine landscapes on its deck. Turned into a floating hotel, the ship has 10 comfortable cabins, a bar-restaurant and an enviable location to enjoy the surrounding environment.